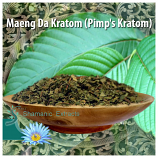 Our well known Maeng Da Kratom, in finely cut form. This is the highest quality Kratom. The leaf is deveined and very dark green in color. 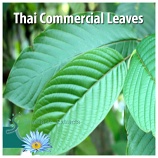 Maeng Da is not modified like Thai Kratom. 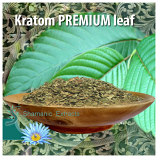 Our supplier is the first to bring Kratom to the market in 2004 and have named their highest quality leaf from selective harvest, "Maeng Da" themselves. This is REAL Maeng Da.